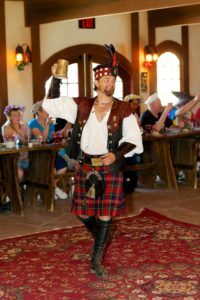 Would YOU like a seat at the most exclusive event within the Faire? The Pleasure Feast! And YOU are invited. Food, Fools and Frivolity - Don't miss the incredibly delicious and wildly raucous Pleasure Feast! Savor five courses of fine foods and ample drynk, served with a side order of live entertainment and Festival souvenirs! 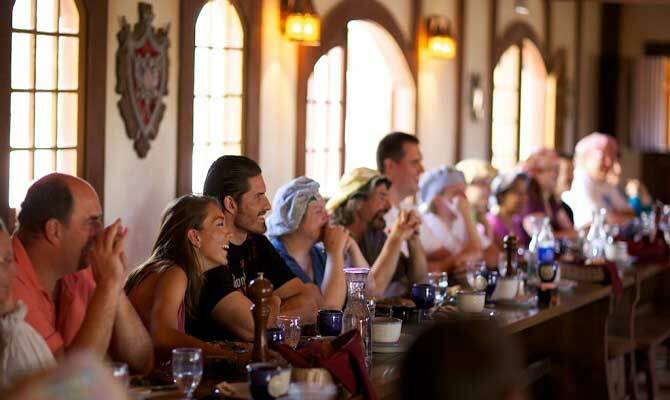 Be treated like royalty as the King's kitchen and the boisterous serving maidens dish up a roaring good time! 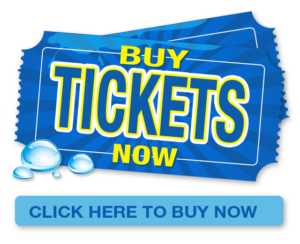 Limited seating twice daily makes this the most exclusive event at the Festival! The Feast Hall has assigned seating. If you would like to sit next to your friends/co-workers and/or group members, we would need to know in advance of your Feast date. 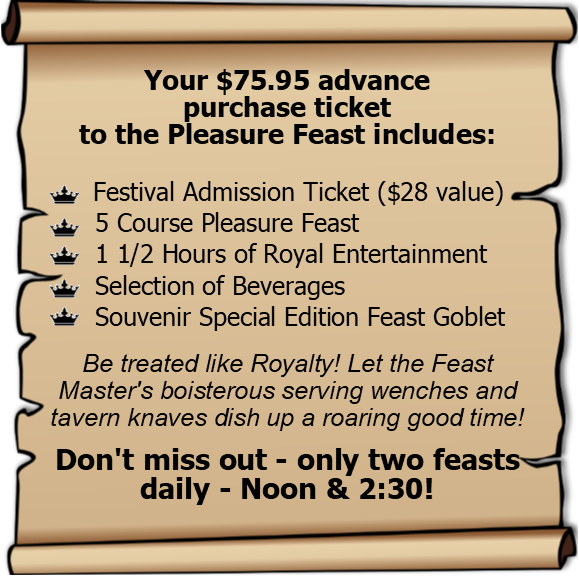 Click here and See the MENU for The 2019 Pleasure Feast. Please review the menu before you make your purchase. No other substitutions can be made aside from the vegetarian option. Take a SNEAK PEEK of the Pleasure Feast! Please be aware that the Pleasure Feast contains suggestive and risque humor. 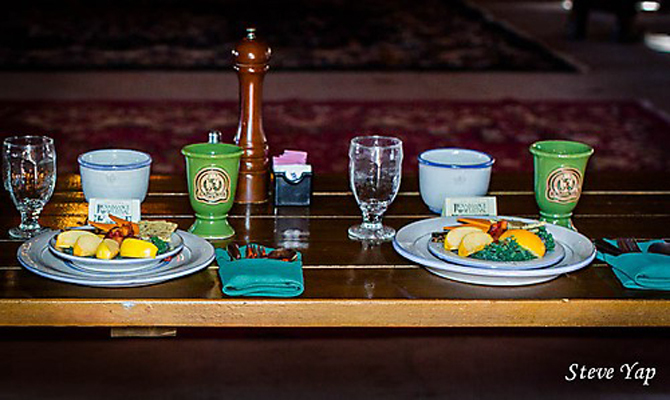 The Fairhaven Feast Hall is also available for Private Events. 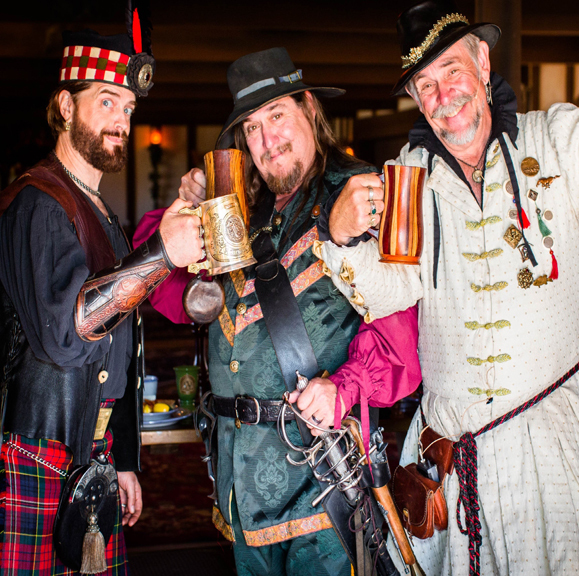 "I had so much fun at the Renaissance Festival last weekend. I laughed so much at the Pleasure Feast that I almost didn't have time to eat; the food was delicious. The Feast Master and Lord of Leftovers are hilarious. Afterwards, I saw the Lord of Leftovers walking around the grounds and laughed some more. I plan on returning again this season.